So I’ve been increasing my longer runs recently, and I find I need just a little more than plain old H2O to get me through the grind. I’ve been experimenting with various running snacks that are somewhat healthy, portable, delicious and nutritious. I am so not a fan of gloopy gels, eurggh. If you know me well you will know I am massively fangirling on Rory Bosio right now, she just won the Ultra Trail du Mont Blanc for the second time this weekend. I saw in one of her pre race interviews that she makes her own whole food running snacks. She mashed sweet potato with oil and salt, pops it in a ziplock bag and off she goes. I will try that combo during my next long run as it sounds super lush. I got thinking though, wow – what else can I put in a ziplock bag? They are so portable they take up no space, can be reused and are flexible and lightweight. Though I advocate using glass where possible this is highly impractical for sporting activities. This Sunday I made a smoothie in a bag to take on my run. A smooshie if you will. …and a little water, but that’s not an ingredient is it? Allow the mango to thaw a little. 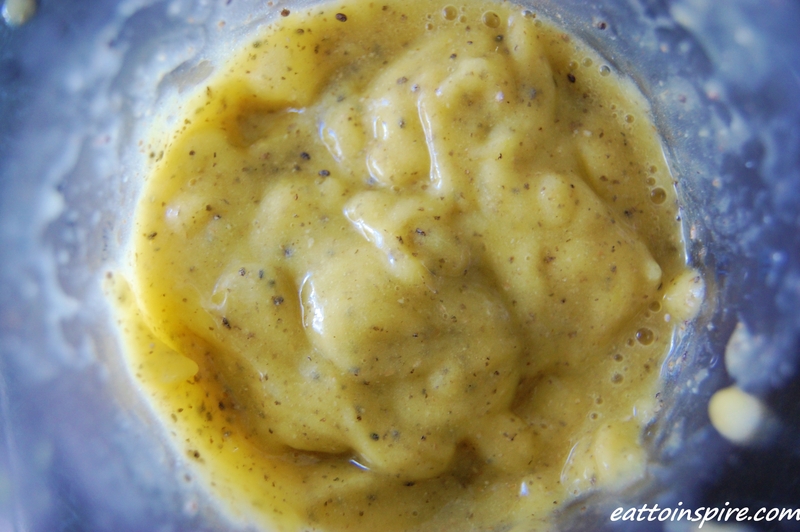 Chuck everything into your blender and blend baby, blend. 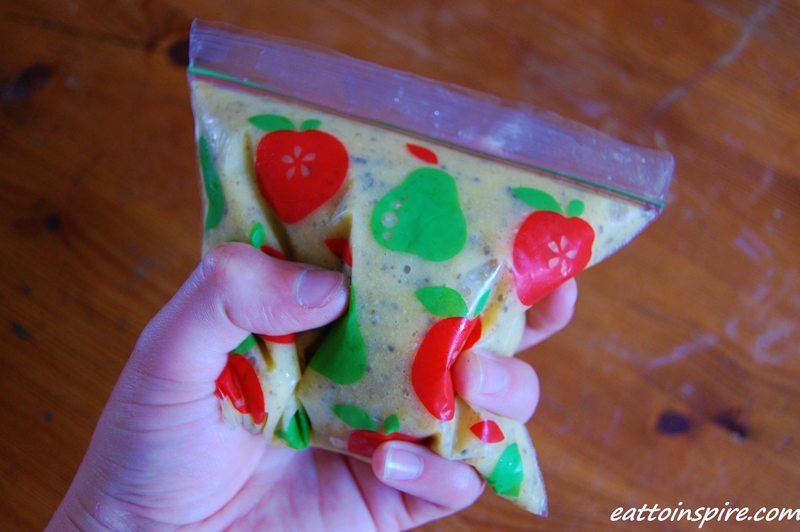 Throw the delightful ‘nice cream’ into your ziplock baggie and off you go! This was super refreshing as it remained cool for ages, and very hydrating. It is easily digestible and I had no problems digesting this on the run. To ingest you can simply open the corner of the bag and slurp the smoothie up. Genius I tell you! What do you guys eat ‘on the run’? Let me know, I am always looking for new things to try! Love this! Great alternative to those nasty gels. I usually eat larabars while I run, but its so hot outside, that I’ve started to look for something else that’s cold and easier to get down. Will have to give this a try this weekend. What a great idea! 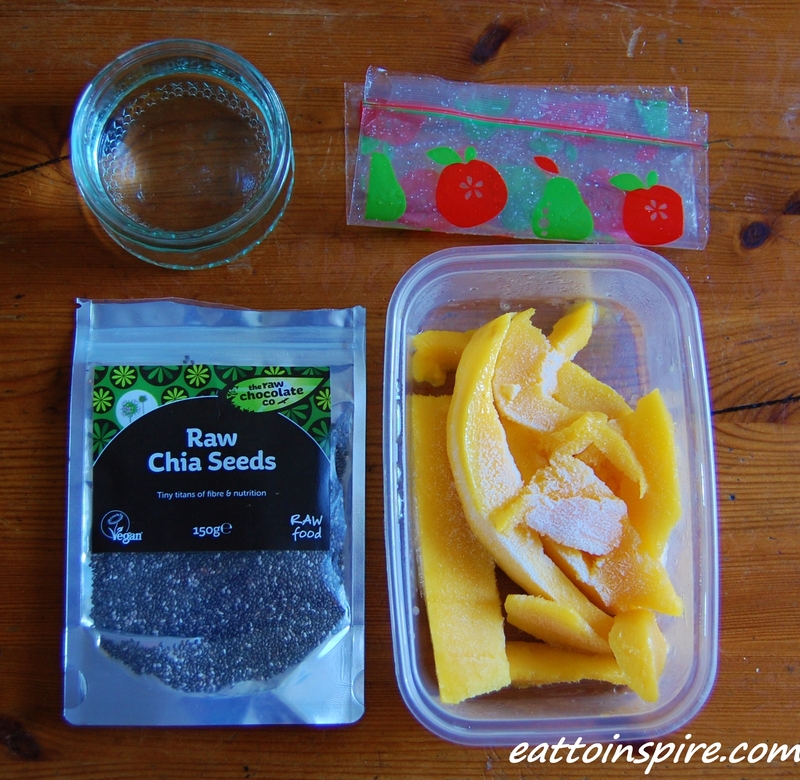 I’ve just started drinking chia agua fresca (chia, water or iced tea, lime juice) for hydration before my runs — I can’t wait to try this as a portable option too… finding the ziplocks is going to be the toughest part!